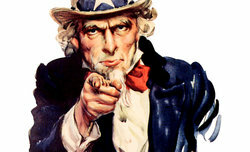 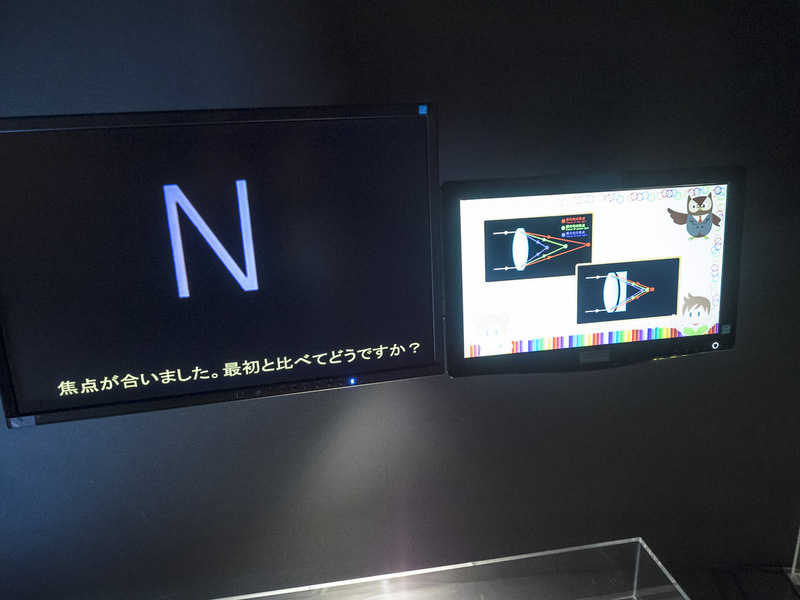 I celebrate my birthday on 25 July – exactly like the Nikon Corporation, set up in Tokio in 1917, exactly 100 years ago. 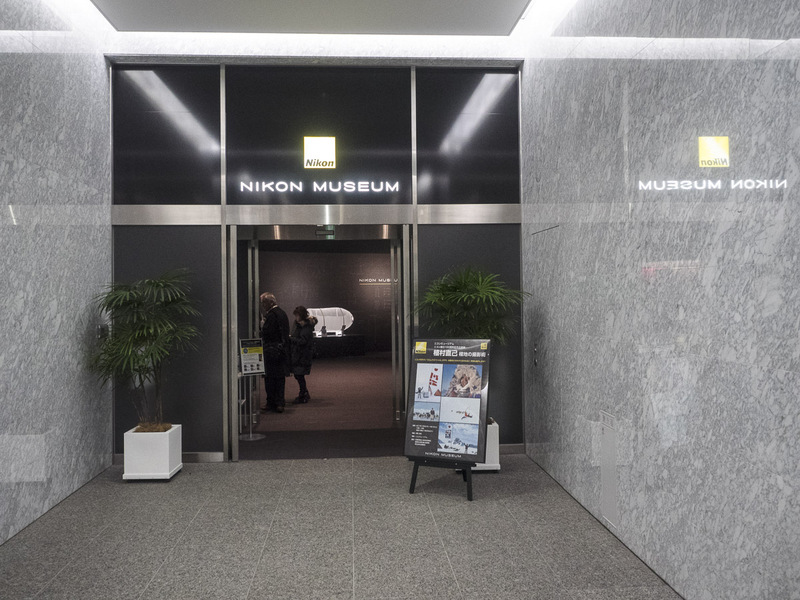 In order to mark that occasion I would like to invite you for a trip to the Nikon Museum. 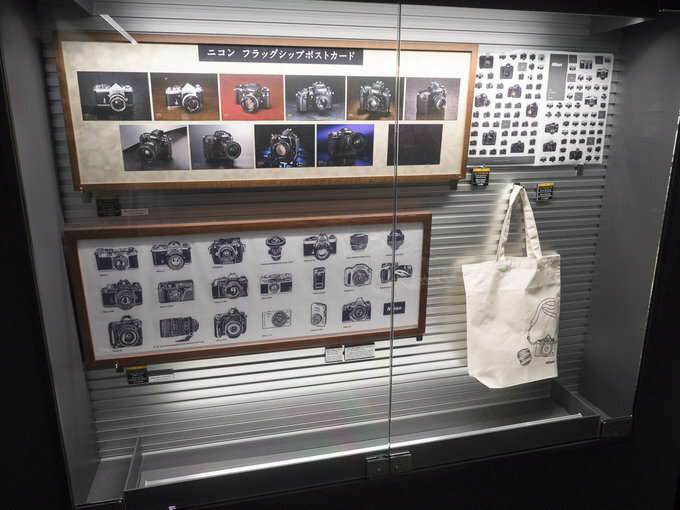 The museum of the Nikon company was open on 17 October 2015. It is located in one of 23 Tokio municipal districts called Shinagawa. 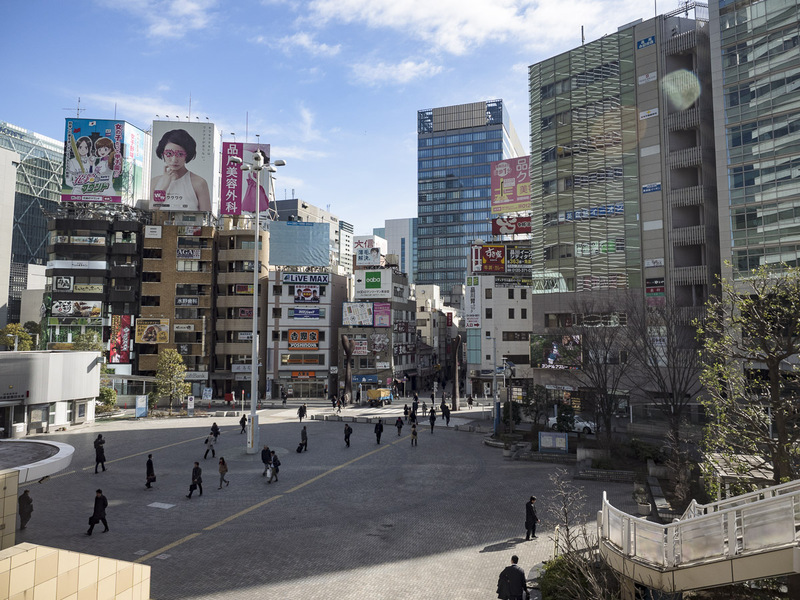 Shinagawa, inhabited by almost 400 000 people,features a huge railway station with several junctions in its centre. All the day plenty of people mill about, going in different directions. 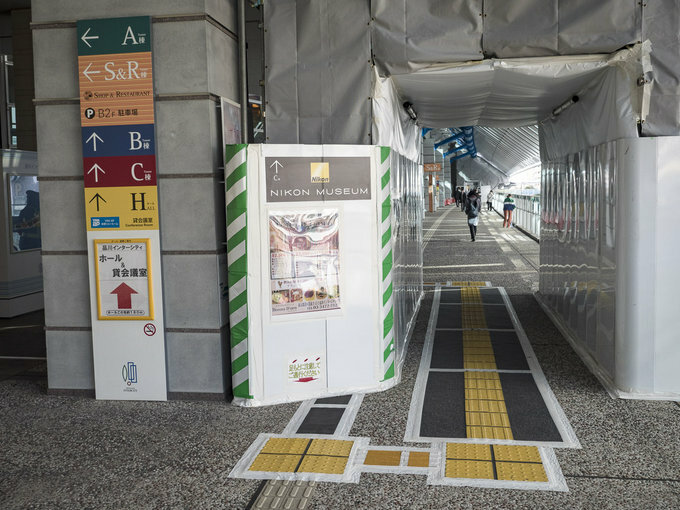 Shinagawa used to be a stopping place for hungry travelers going to Edo (an old name of Tokio) as it was situated near the main thoroughfare leading to the capital. 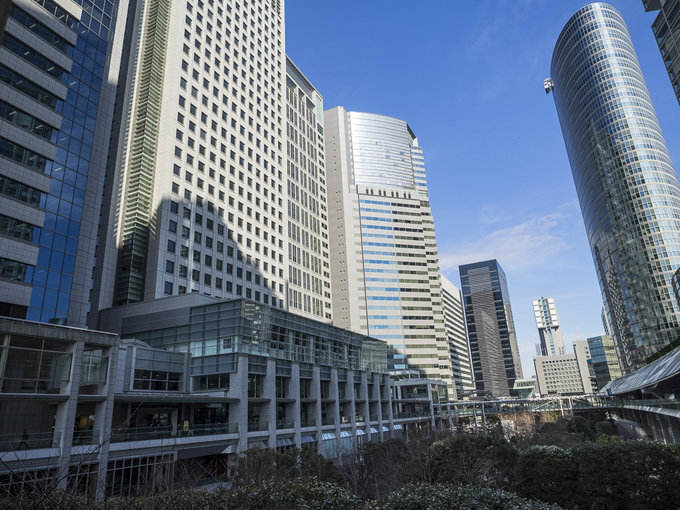 Currently it is a big business centre with offices of many consulting companies and international corporations. 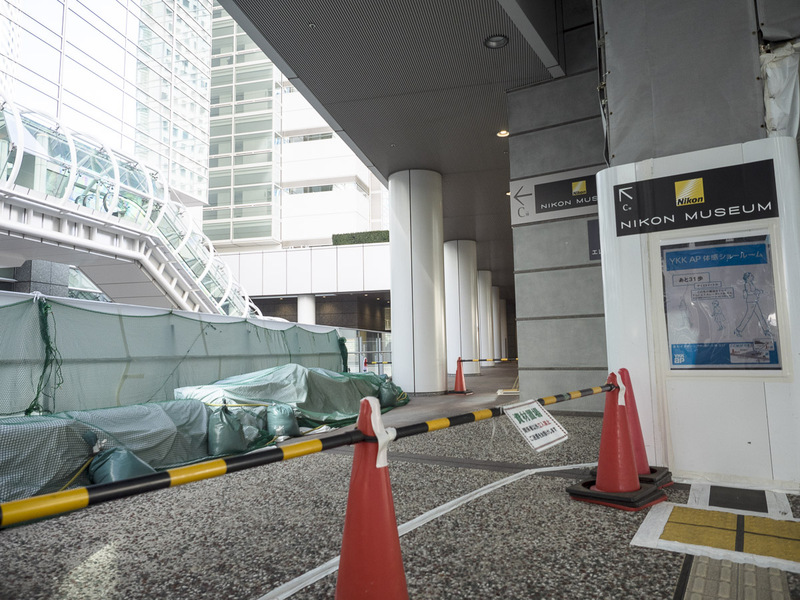 The Nikon company is one of them – they occupy the C building, a part of an enormous office complex. Currently the way to the museum is a bit more winding due to renovations in progress but clear signs make it easy to find the right place. After entering I passed the reception situated in a spacious hall and turned left where I saw a guard in a uniform standing before closed door. 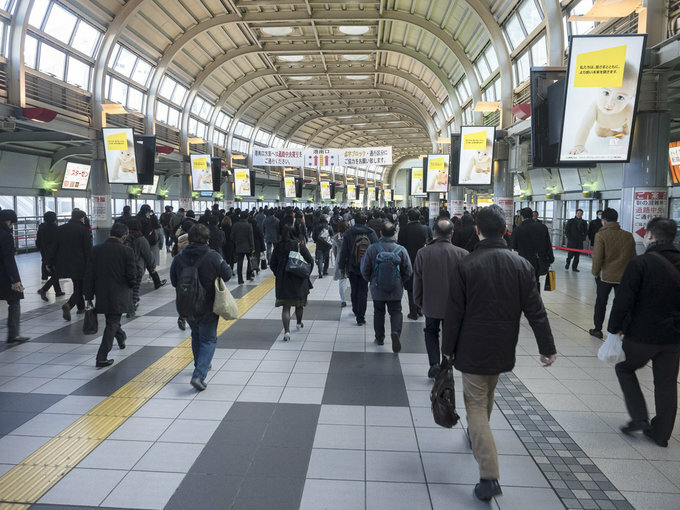 It was 9:45 a.m. – a bit too early – so I had to wait quarter of an hour. 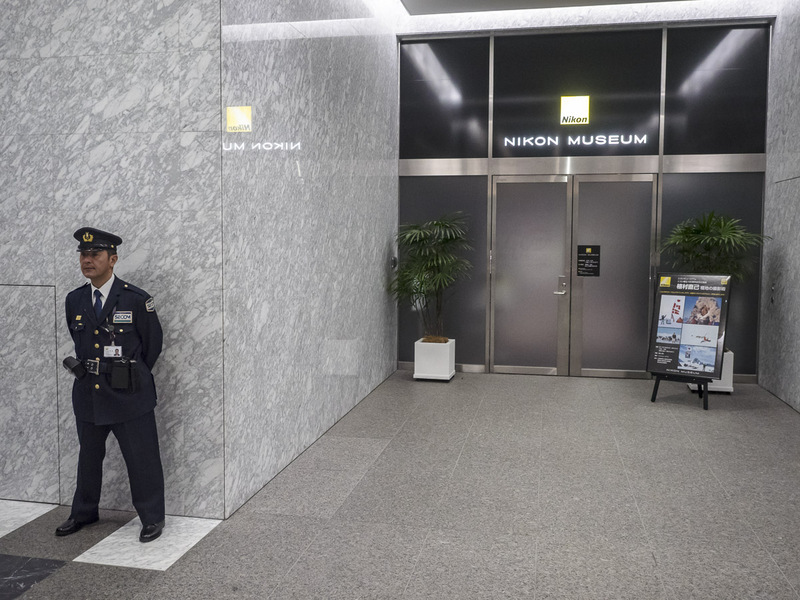 Promptly at 10:00 o’clock the door opened. 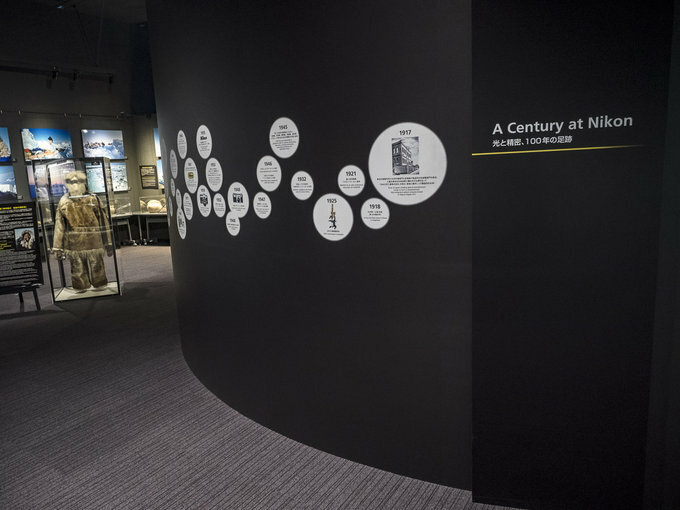 Right after entering I noticed a curved wall with an exhibition called “A Century at Nikon” with photos of the most important products of that company launched during last 100 years of their business activity. Opposite to that wall you find a small museum shop with gadgets and souvenirs like packs of cards with Nikon cameras, key rings, blocks, mugs and so on. 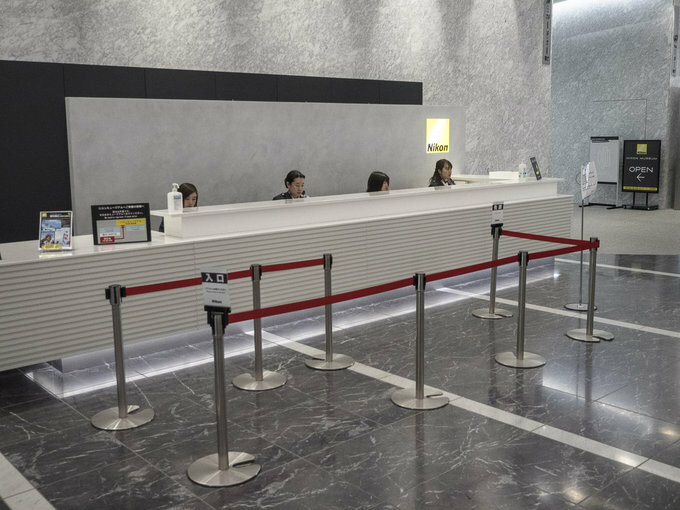 Further on there’s an enquiry desk manned by nice ladies who speak good English – something not exactly widespread in Japan so still a huge asset. Unfortunately they didn’t want to be photographed so I had to go on. 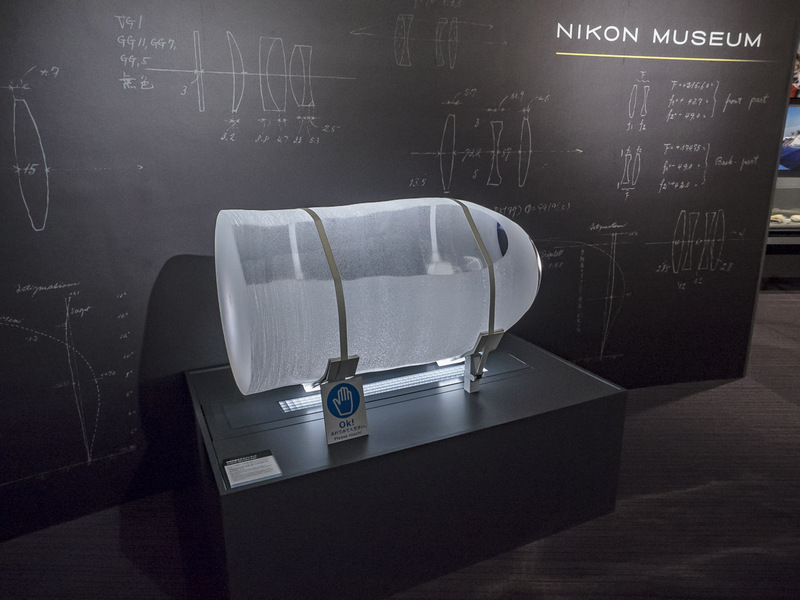 A silica glass ingot as long as 130 cm and shaped like a lens tube was the first specimen on my way. 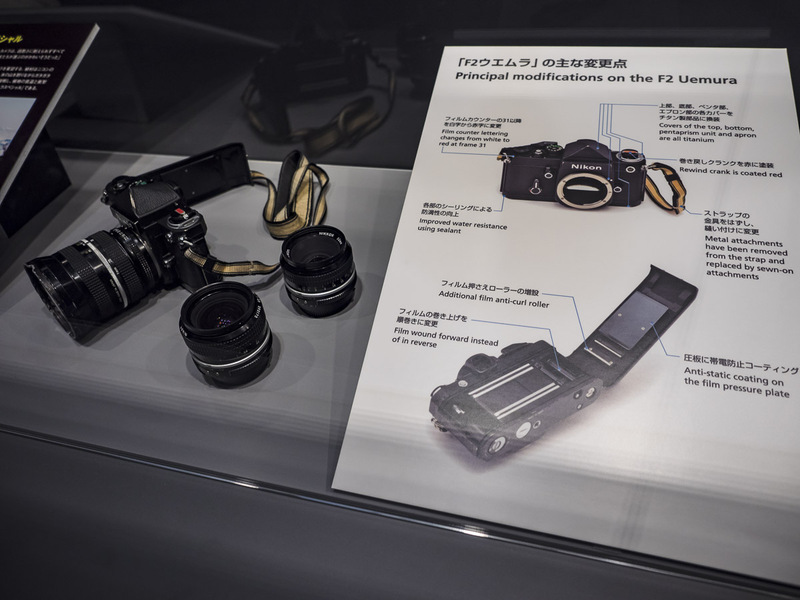 It is an embodiment of the Nikon Museum and a good example of materials used for production of top-of-the-range optics during last 100 years. 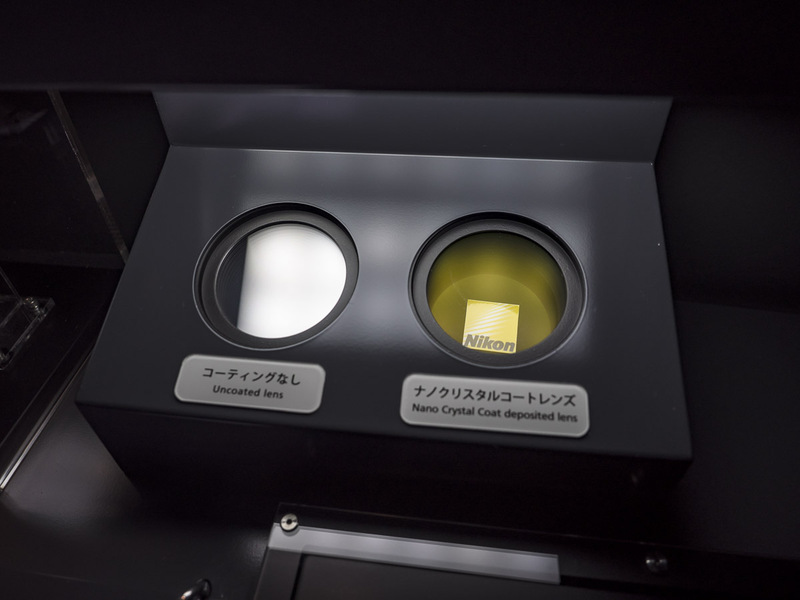 What’s interesting, next to the ingot there’s a plate with an inscription “Please touch” – an approach contrary to usual standards you expect in a museum. 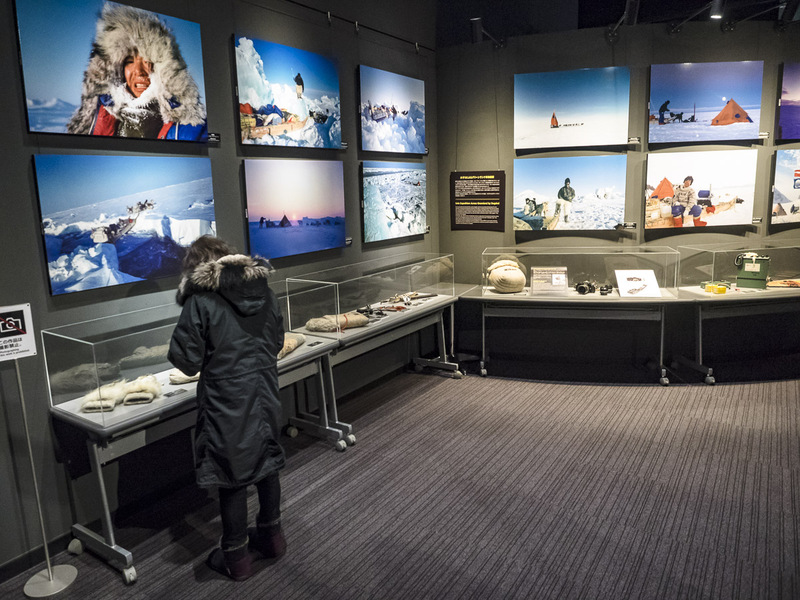 In the other part of the hall which is as large as 580 m2, you find a lounge – an area designated for thematic expositions. During my visit it was an exposition entitled "Naomi Uemura — Camera Techniques in Polar Regions”. 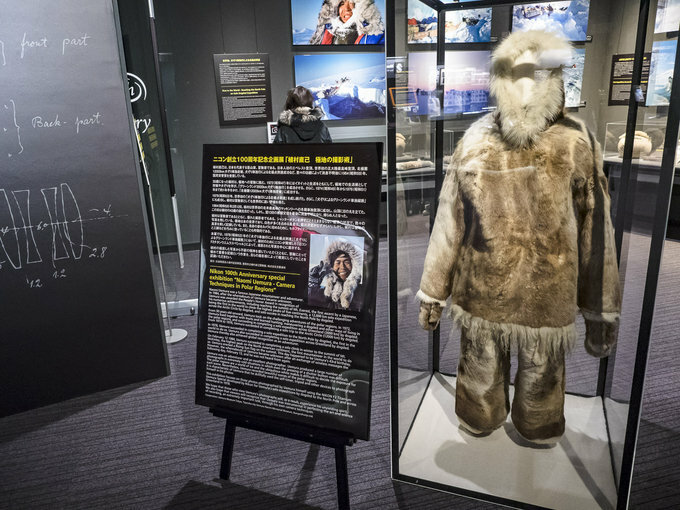 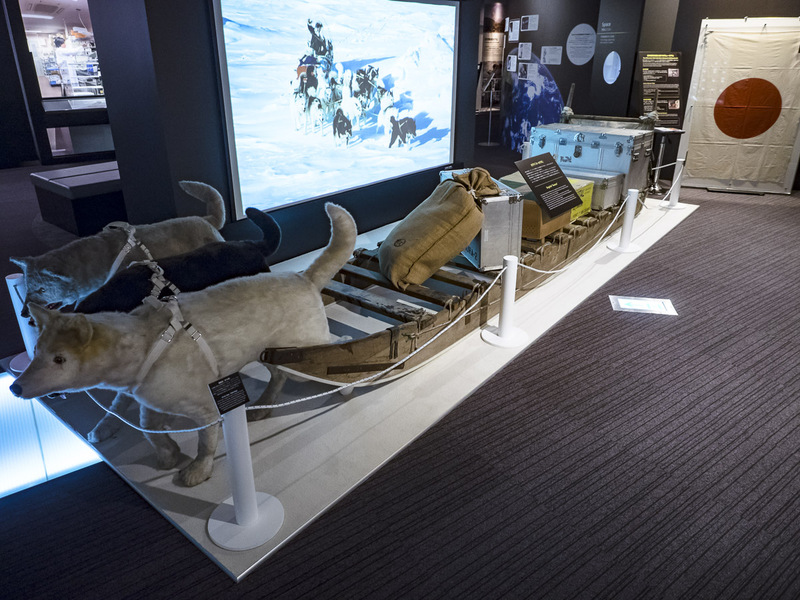 Uemura was a Japanese traveler and explorer who undertook in 1978 a lone trip to the North Pole with just a sled dog team as the first. 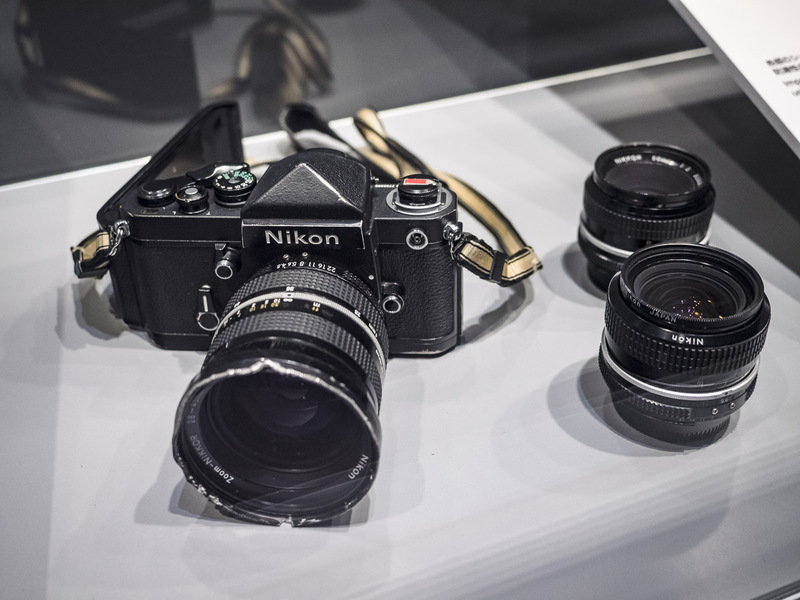 He documented that trip taking photos with a special Nikon F2 Titanium camera, prepared for him. 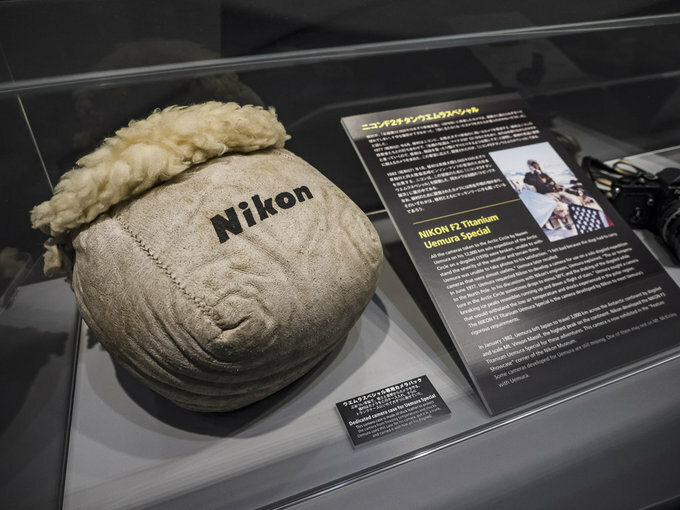 The camera featured additional gaskets and titanium elements as well as a sheepskin bag which protected it against harsh, arctic weather conditions. 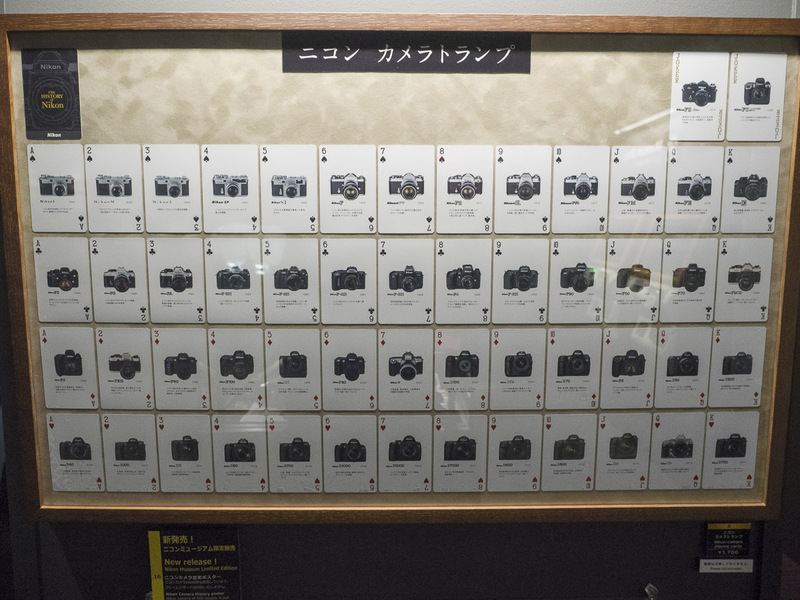 Right next to that exposition there is a small theatre in which you can watch a movie about 100 years of Nikon history. 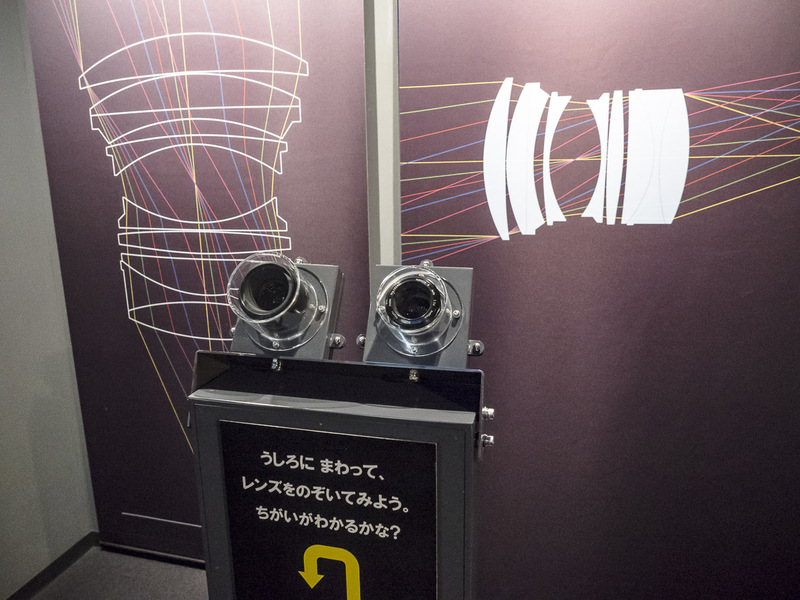 There’s also the „Universe of Nikon”, presenting all technologies and products created by that company. 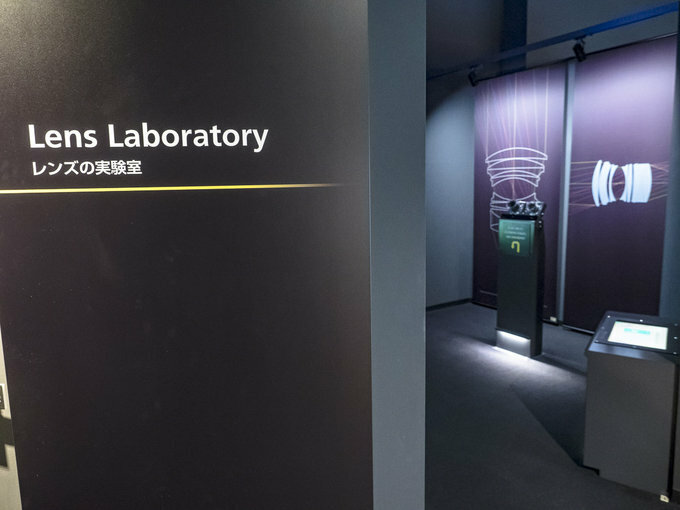 Unfortunately you couldn’t take any photos there so let me progress to the so-called Laboratory of lenses. 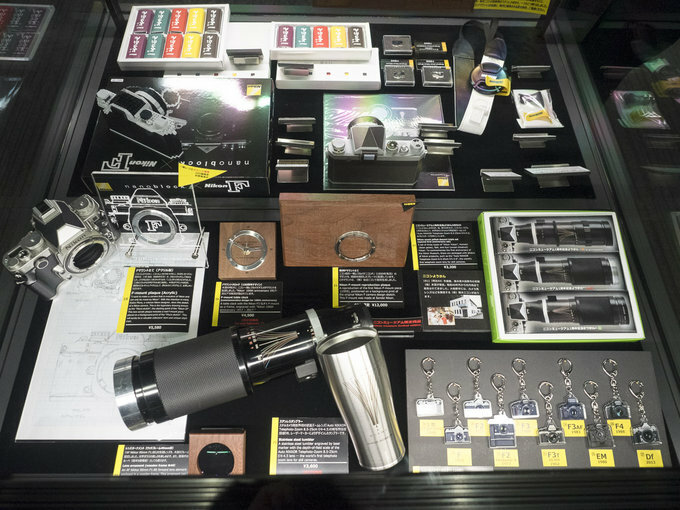 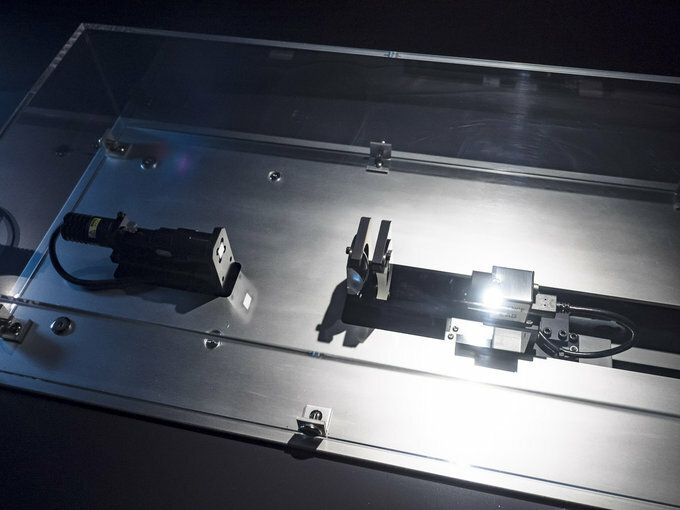 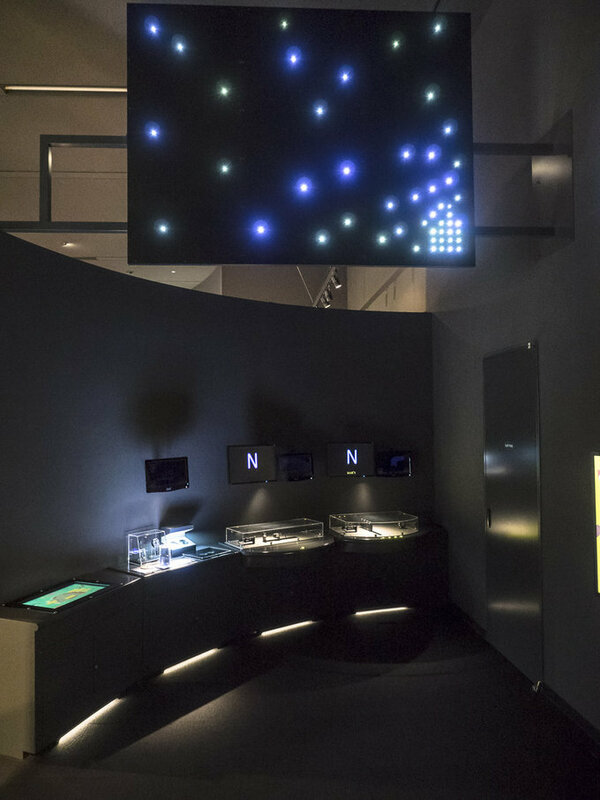 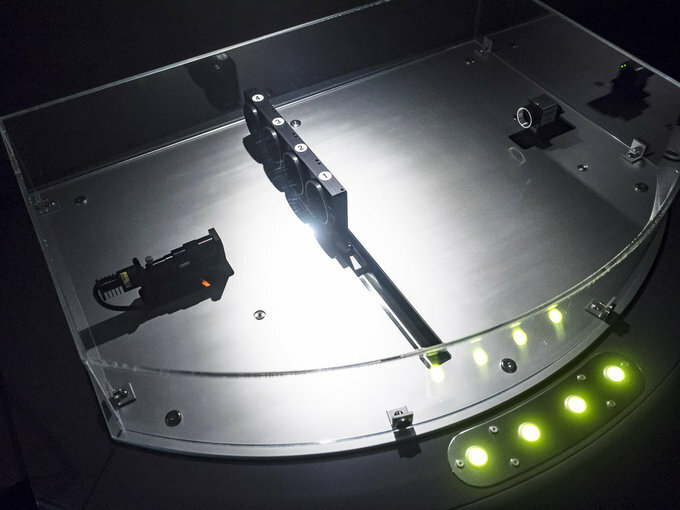 It is a small room where the most important technologies used in Nikon lenses are presented. 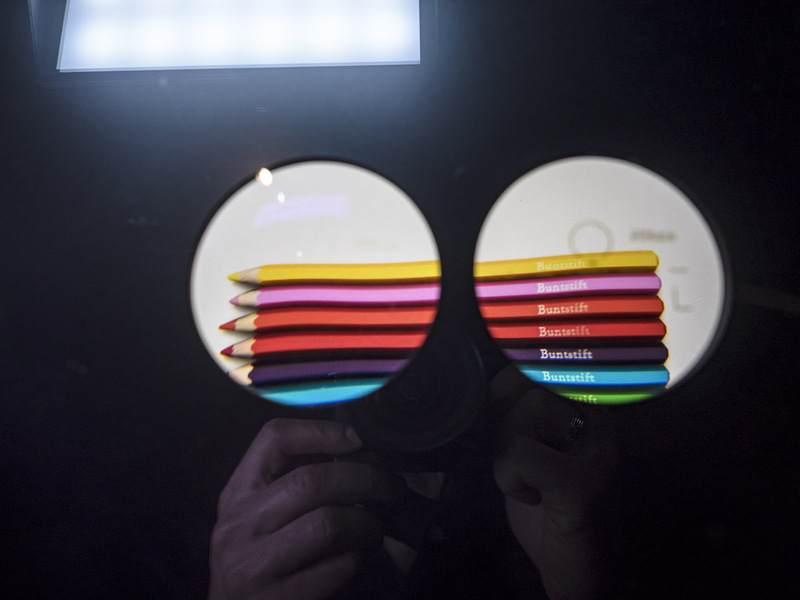 A simple test proves the usefulness of anti-reflective coatings; you find out how they tackle distortion or chromatic aberrations. You also get an opportunity to compare the image quality provided by the Nikkor-S Auto 55 mm f/1.2 produced in 1965 and by the AF-S Nikkor 58 mm f/1.4G produced in 2014. 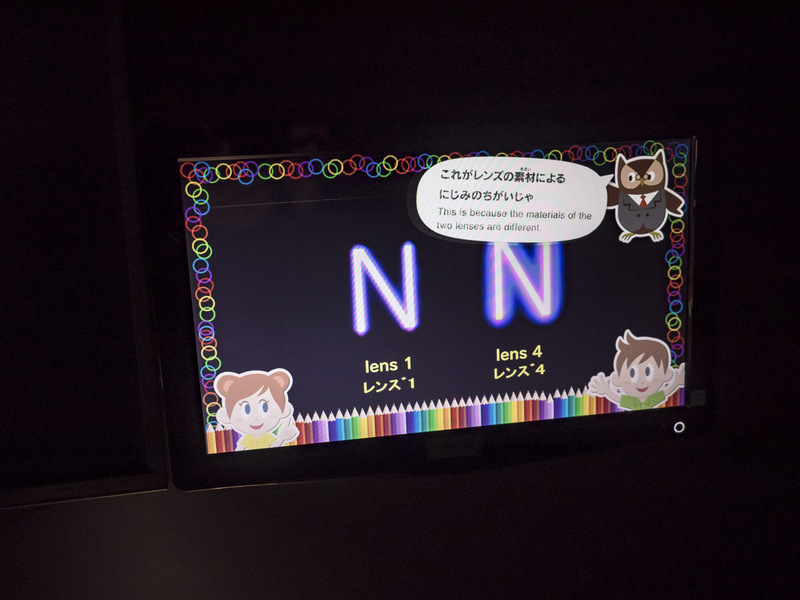 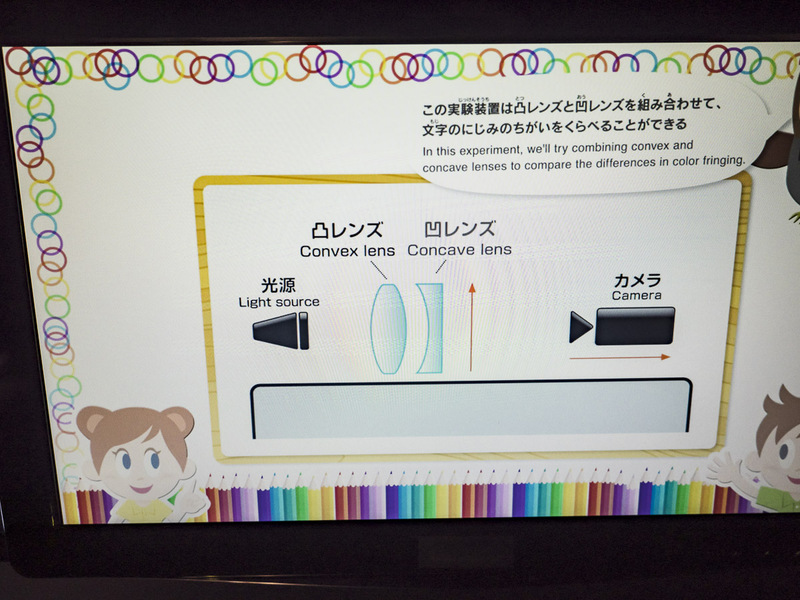 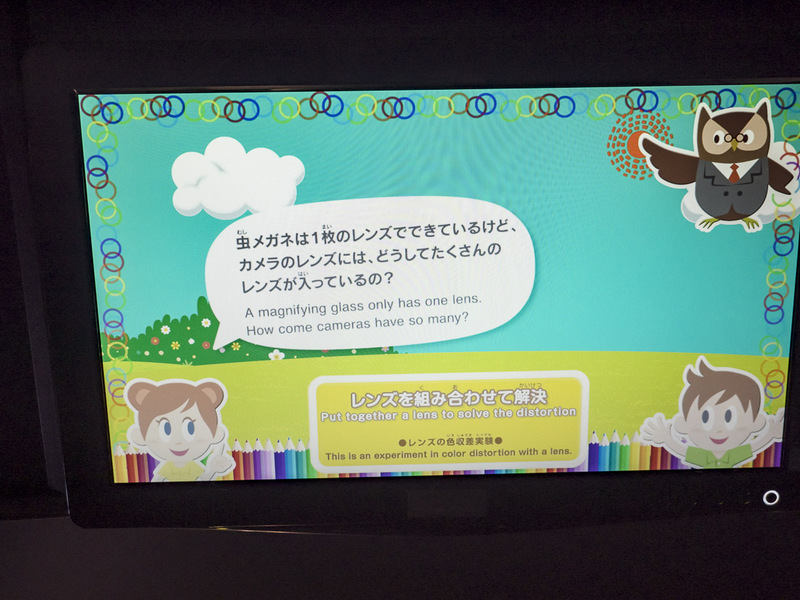 The most important information is presented on monitors in a typically Japanese style. 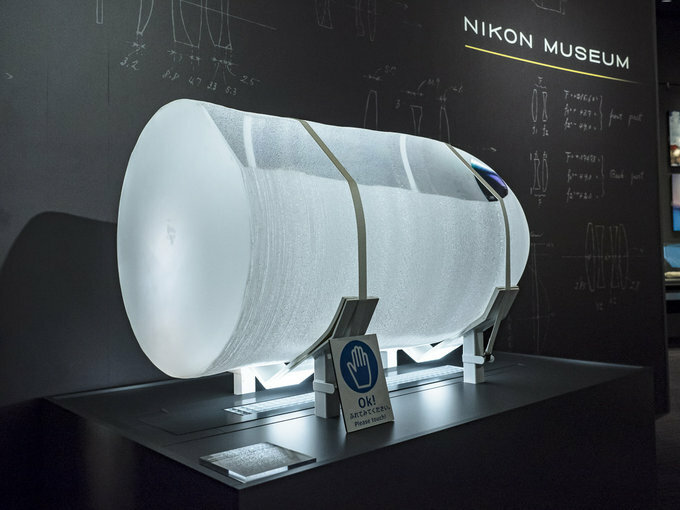 What is Nikon Polska planning?